Our latest issue of our Safety Works for Employees newsletter includes information on arc flash safety, carbon monoxide awareness for construction workers, household pests, and tips on how to be more physically active. Download it today and share this important information with your employees. If you need the latest information on safety compliance and regulatory developments in California, attend BLR’s upcoming Cal/OSHA Summit, which will be held from October 7–9 in Los Angeles. The Cal/OSHA Summit is a leading state-specific event for California employers and safety professionals to get cutting-edge developments on new safety regulations, compliance strategies, and management tactics. Register now. 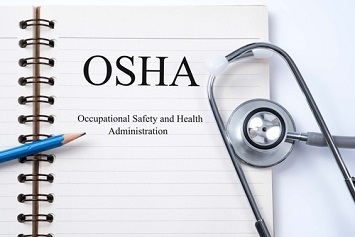 Adele Abrams, president of the Law Office of Adele L. Abrams PC, provides critical information on how to prepare for and respond to OSHA's revised inspection priorities for 2019. This course provides information about bloodborne pathogens hazards and safe work practices for workers likely to be exposed to blood or other potentially infectious materials (OPIM), including healthcare workers, first-aid responders, janitorial and maintenance personnel at healthcare facilities, and workers who clean areas contaminated with blood or OPIM. Powerpoints—Avoiding Exposure to Bloodborne Pathogens—This course provides information about bloodborne pathogens hazards and safe work practices for workers likely to be exposed to blood or other potentially infectious materials (OPIM), including healthcare workers, first-aid responders, janitorial and maintenance personnel at healthcare facilities, and workers who clean areas contaminated with blood or OPIM. It does not cover the additional requirements for research laboratories and production facilities. Handouts—Bloodborne Pathogens Universal Precautions—Use this handout along with the Avoiding Exposure to Bloodborne Pathogens PPT to train your workers. Handouts—OSHA's Bloodborne Pathogens Standard Factsheet—Use this OSHA factsheet to train your workers on bloodborne pathogens. Quizzes—Avoiding Exposure to Bloodborne Pathogens—Use this quiz with the PPT to train your workers in bloodborne pathogens. Speaker's Notes—Avoiding Exposure to Bloodborne Pathogens—Download the speaker's notes along with the PPT slideshow to train workers. 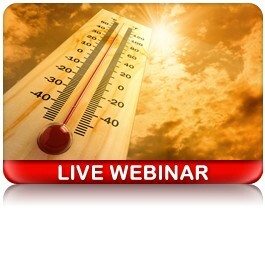 Inspections—Webinar [2019-01]: OSHA’s Revised Inspection Priorities for 2019: Preparation Strategies for High Target Industries Adele Abrams, president of the Law Office of Adele L. Abrams PC, provides critical information on how to prepare for and respond to OSHA's revised inspection priorities for 2019. Injury and Illness Records (OSHA 300)—Webinar [2018-12]: OSHA Reporting Requirements at the Intersection of Workers’ Comp: When an Illness or Injury Is Work Related and Must Be Reported Attorney Tracy Moon of Fisher Phillips, LLP, will explain how OSHA's injury and illness recordkeeping requirements intersect with workers' compensation and provide insight into determining the work-relatedness of incidents. 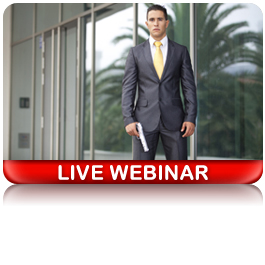 Alcohol & Drugs—Webinar [2018-12]: Post-Accident Drug Testing: How to Avoid Retaliation Claims Under OSHA Gary Visscher, a skilled attorney with extensive experience in health and safety law and policy, will explain your organization's compliance obligations concerning post-accident drug testing and how you can avoid costly retaliation claims. Safety Culture—Webinar [2018-12]: OSHA-Compliant Safety Incentive Programs: How to Avoid Retaliation Claims Under OSHA Attorneys Dan Deacon and Aaron Gelb provide an explanation of OSHA's terms and guidelines involving safety incentives and share tips for creating a successful and compliant program. Employee Newsletters—April 2019 Safety Works for Employees—This month’s issue includes information on arc flash safety, carbon monoxide awareness for construction workers, household pests, and tips on how to be more physically active. Q: In the event an elevated scissor lift has an adequate guardrail system, can the employer exceed this requirement and request a fall arrest system as well? Q: Under HazCom, is a container filled with chlorine and pumped into a swimming pool consider a process container? 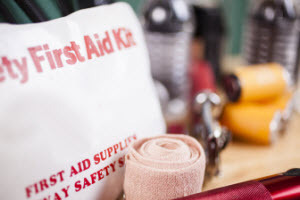 Setting up light-duty and return-to-work programs—If any of your employees are away from work following a workplace injury, you want them back on the job as soon as possible. You need a clear, written light-duty and return-to-work policy for navigating the requirements of your state’s workers’ compensation laws while steering clear of the potential legal land mines of discrimination and medical leave laws. Having trouble unsubscribing or updating your subscription?